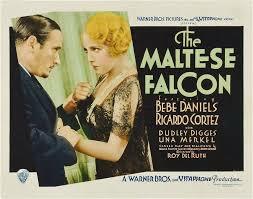 No Humphrey Bogart here, this is the pre-code 1931 version of The Maltese Falcon. Sam Spade is more soft boiled here. He seems way to happy to be where he is, doing what he is doing. It is all a lark to him. 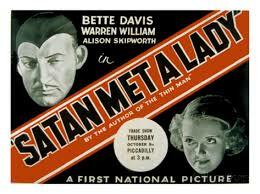 There really isn't much to say about this movie. Nothing makes it stand out really. I'm glad to have seen it as a fan of Dashielle Hammet but that is about as far as it goes. 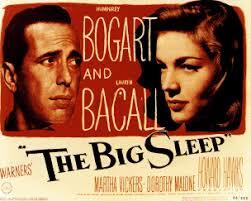 The first half of The Big Sleep follows Chandler's novel almost exactly, including dialog. The major change in the first half is that Rusty (Sean in the movie) Regan (Rutledge in the movie) is never married to Vivian Sternwood. The second half differs from the novel by a fair amount and I don't know why really. It isn't better than the book. Whatever screenwriters (which in this case include William Faulkner) want to make their mark. Anyhow the movie is still good.